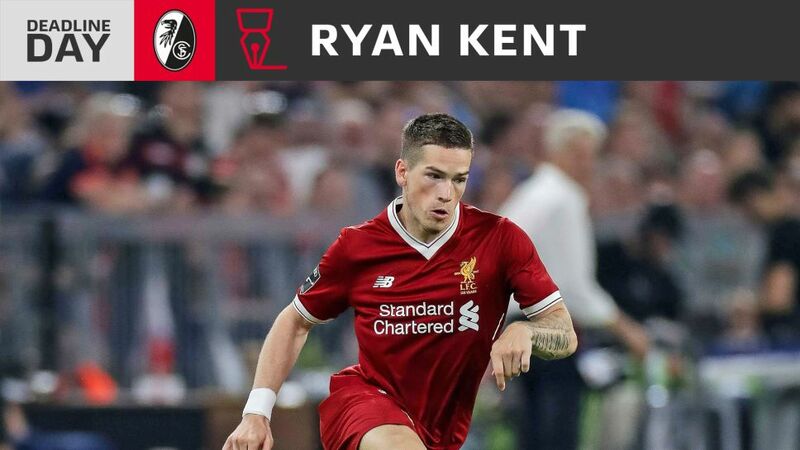 Freiburg have completed a Deadline Day coup, signing Liverpool's talented young winger Ryan Kent on loan for the remainder of the 2017/18 season. Kent, 20, who spent last season on loan at English second-tier side Barnsley, will wear the number 14 shirt at the Schwarzwald-Stadion. "It wasn't clear at first whether Liverpool would even let him leave," said Freiburg sporting director Klemens Hartenbach. "The door has only really opened in the last couple of days. Ryan first caught our eye at an U-19 UEFA Youth League fixture between Liverpool and Basel. He's a two-footer, versatile attacker. He can play on both flanks and will really add to our attacking game." Kent becomes the second English youngster to join a Bundesliga side on Deadline Day; Jadon Sancho also joined Borussia Dortmund from Manchester City. It has been a busy day in the Black Forest for Freiburg, who announced plans for a new stadium this morning. Click here for all the Deadline Day deals!